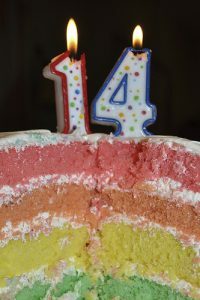 When it comes to 14th birthdays, the best gift you can give is a new green card. Perhaps your teenager won’t agree, but there are some beneficial reasons to do so. After reaching 14 years of age, a lawful permanent resident must register and file Form I-90 (Application to Replace Permanent Resident Card) within 30 days. Though this expense and process is inconvenient to parents, it is an obligation that may be much less expensive if you take care of it right away. Plus, your child may soon want to obtain a driver’s license or get a job. In both cases it’s necessary to have a valid, unexpired green card. Or you and your family can all avoid USCIS fees forever. For parents that are ready to naturalize as U.S. citizens, children automatically become U.S. citizens at the same time. The USCIS filing fee is waived if your child’s green card expires after his/her 16th birthday AND you file Form I-90 within 30 days after the child’s 14th birthday. Read carefully – this is a very small 30-day window. There will still be an $85 biometric fee, but this is a substantial savings. Your child is nearing an age when he/she may want to take on a job. Employers will want to see a valid, unexpired green card before hiring your son or daughter. 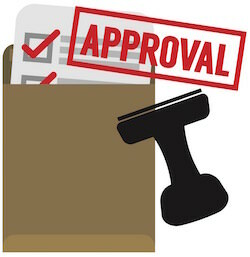 More and more employers are using E-verify to confirm applicants’ right to work in the U.S. Your child is also very close to the driving age and will want to obtain a driver’s license. In most states, you will need a Social Security Number to apply for a driver’s license. Bring all required identification with you, which may include your passport, birth certificate, and the valid, unexpired green card. If you plan to travel outside the United States, you should also anticipate that using an expired green card will cause delays. Technically, your child could be refused reentry to the U.S. without valid identification. Customs and Border Protection (CBP) officers want to see a valid, unexpired green card. The child is residing in or has resided in the United States in the legal and physical custody of the U.S. citizen parent. Learn more about derivation of U.S. citizenship for children. CitizenPath provides simple, affordable, step-by-step guidance through USCIS immigration applications. Individuals, attorneys and non-profits use the service on desktop or mobile device to prepare immigration forms accurately, avoiding costly delays. CitizenPath allows users to try the service for free and provides a 100% money-back guarantee that USCIS will accept the application or petition. We provide support for the Green Card Replacement Application (Form I-90), US Citizenship Application (Form N-400), and several other USCIS forms.